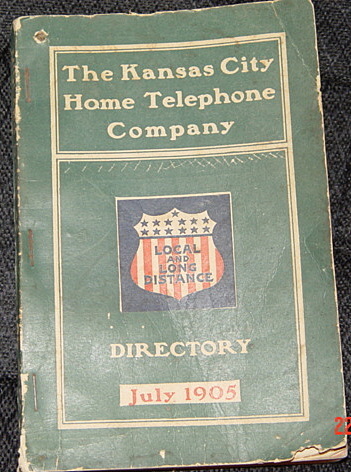 1905 Kansas City Home Telephone Company Directory. 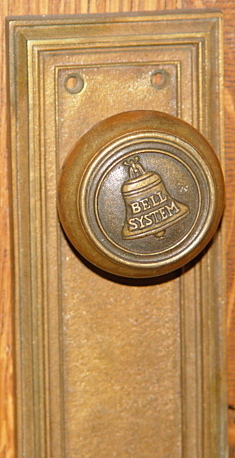 Bell System brass door knob found in some telephone companies offices in the early years. 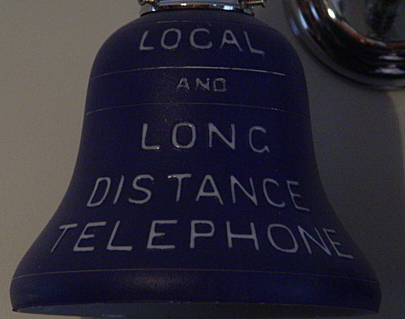 Original Local and Long Distance Telephone lampshade. 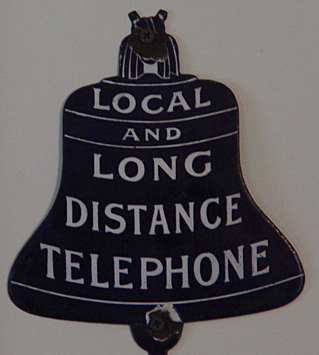 Used in Telco's central office to denote where to make a Local and Long Distance calls. 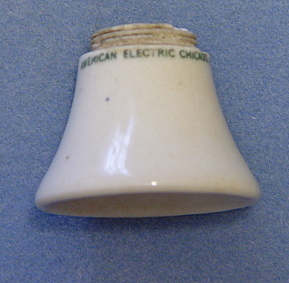 Bell System Lampshade used in bus and train depots to let travelers know where they could make calls connecting with the Bell System. 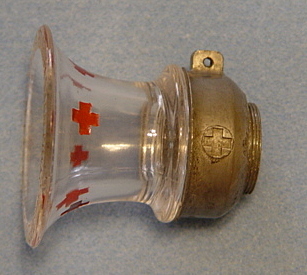 Original Red Cross mouthpiece used in a business where employees had one phone to use. 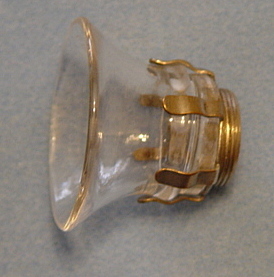 The mouthpieces were given to each employee to help stop the spread of germs and colds. Cowboy using an old phone in the General Store. 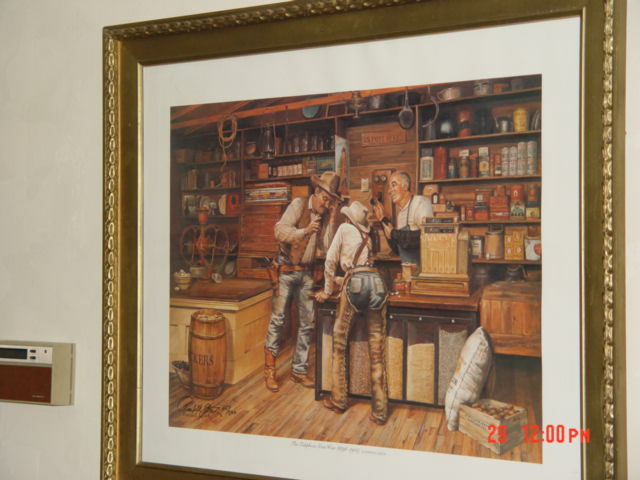 Notice that the store owner is showing the cowboy where to talk into. 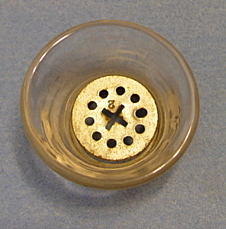 Western Electric transition pony receiver with long pole cap. 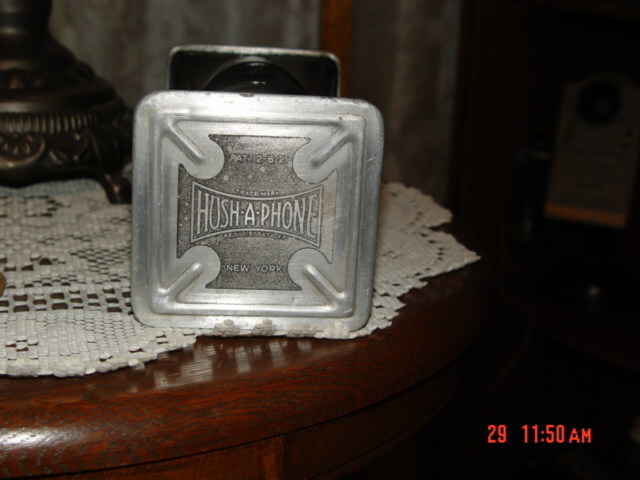 Hush-A-phone attachment. 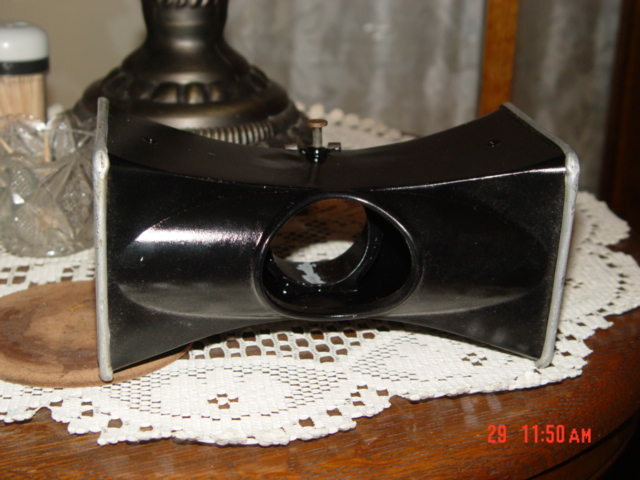 They were used on candlestick and wood wall phones to help keep your conversation from being over heard. 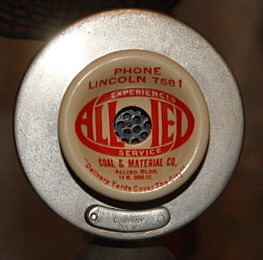 Allied advertising mouthpiece cover. 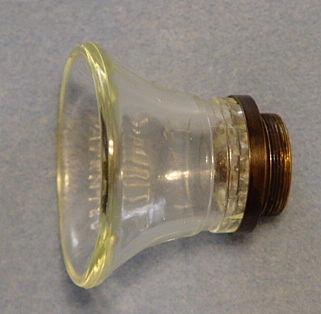 This item was made of celluloid and fit over the end of the mouthpiece to advertise different companies. 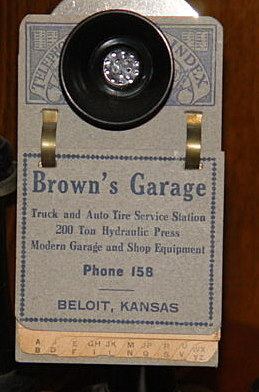 Phone indexes also hung down below the phones to keep track of friends and neighbors phone numbers. 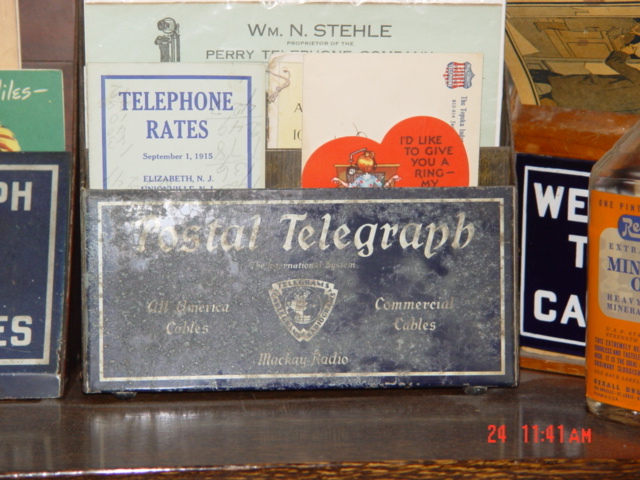 KTCo Local and Long Distance Telephone Office wooden sign. 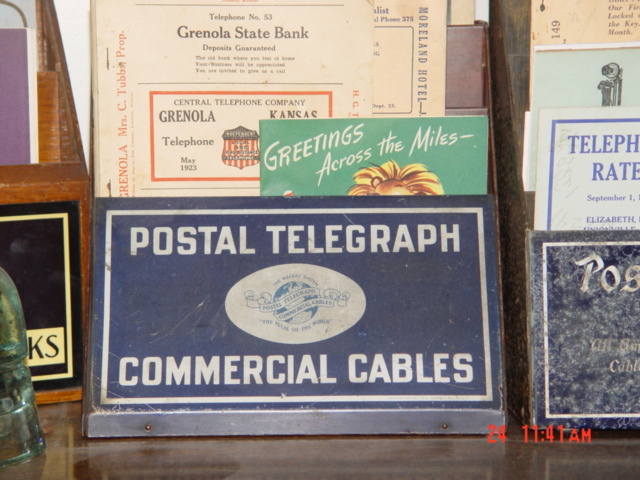 This sign came from around Clay Center, Kansas. 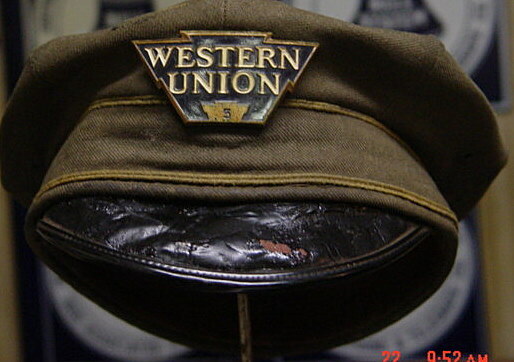 KTCO stands for Kansas Telephone Co.
Western Union Bicycle Messengers hat used back in the early 1900's. 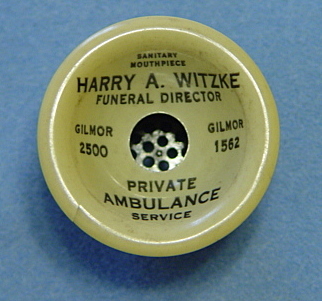 For this hat and celluloid name tag to stay in one piece for all these years is amazing. 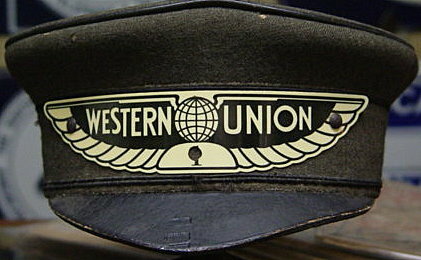 Western Union Delivery Truck drivers hat. 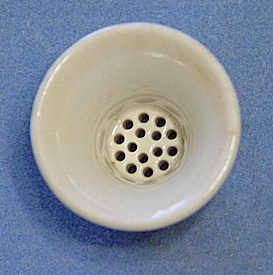 The hat dates to about the 1920-1930's. 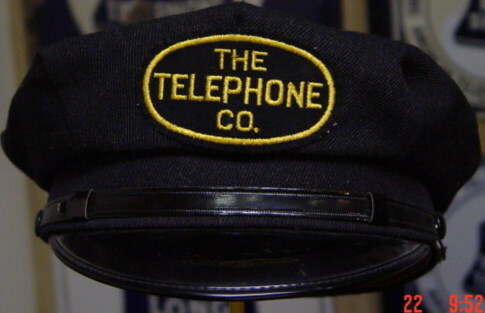 The Telephone co. hat came out the Kansas City area and dates to the 1950's. 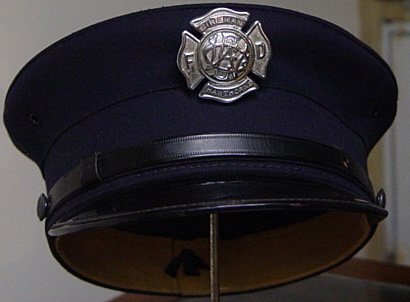 Fireman's Dress Hat from the Western Electric Hawthorne plant in Chicago, Ill. The plant was so big that they had there own fire department. 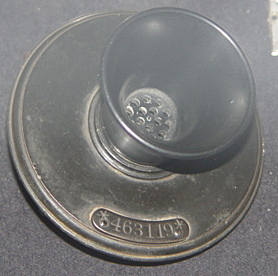 Beveled edge 6 digit Western Electric faceplate. 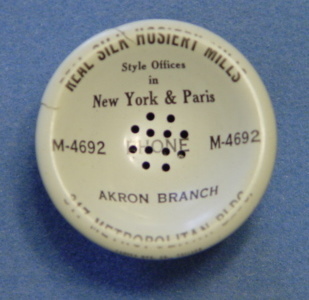 This rare and hard to find face plate went on an early Western Electric phone. 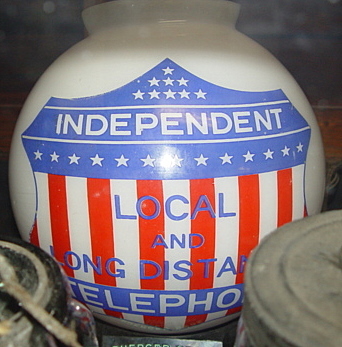 Independent Local and Long Distance Telephone lamp shade. 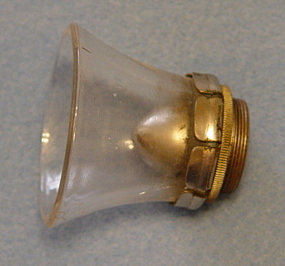 Like the lamp shades above this was also used in bus and train depots where pay phones were located. 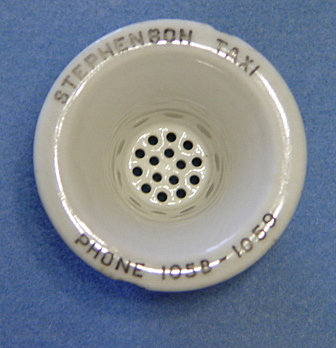 Western Union Telephone, Telegrams From Here Hubcap. 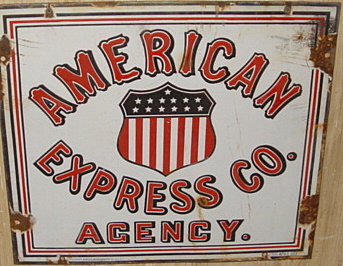 American Express Money Orders For Sale Here strip sign. 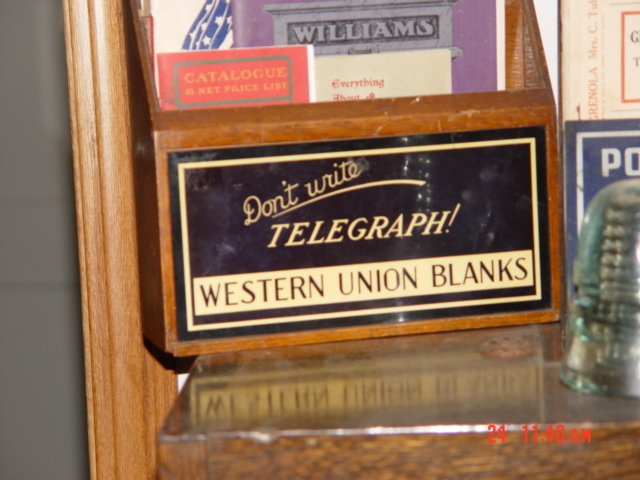 Here are 4 telegram message blank holders. 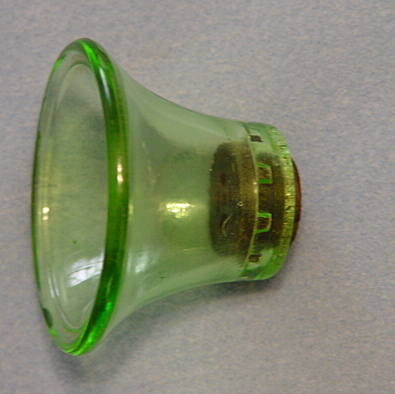 This is really nice Green Mouthpiece. 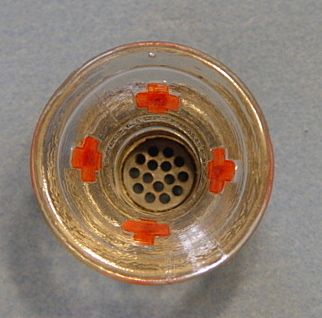 The pictures are deceiving. 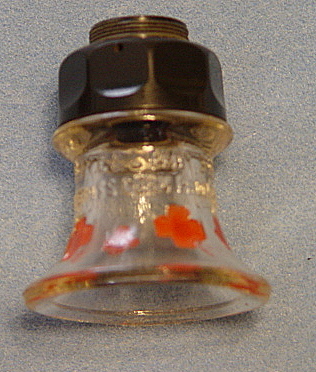 this is a rather large mouthpiece that covers the entire faceplate. 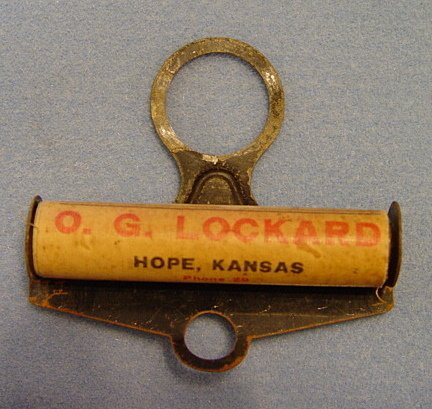 This is made of Porcelain and like the celluloid mouthpiece covers it also has advertising on it. 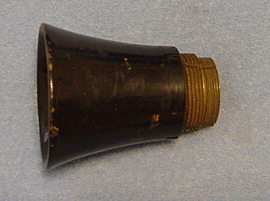 Here are 3 Bakelite mouthpieces used on phones. 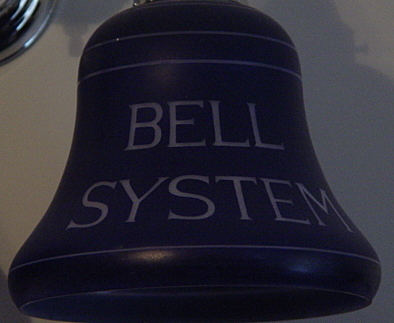 The one on the left is one used by most phone companies. 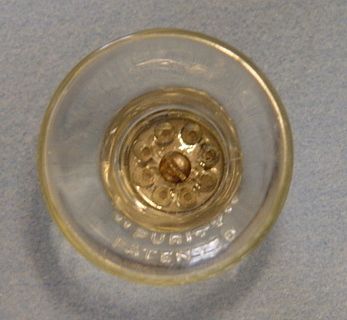 The 2 next to it are oversized and larger. 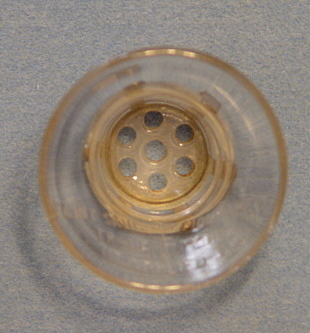 They were used in different applications. 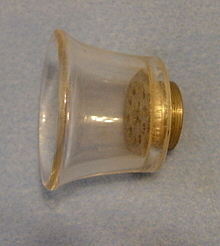 This one is different it's solid brass and I'm not sure why it has 2 different thread combinations on it. 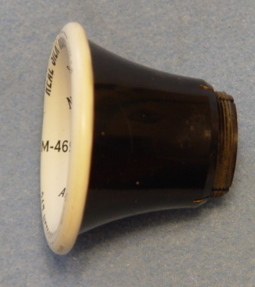 One is a Western Electric thread and the other one I'm not sure what it's threads are. 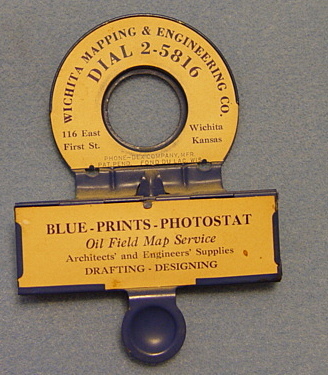 I've never seen this sign before, but it's one of the neatest ones that I've ever seen. 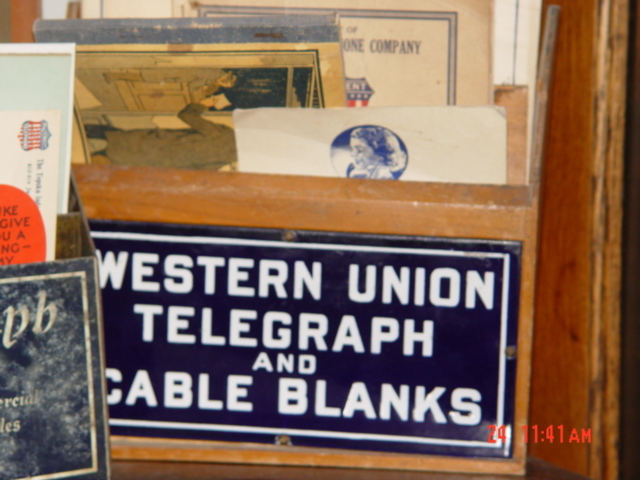 The porcelain on the sign is old, old, old. 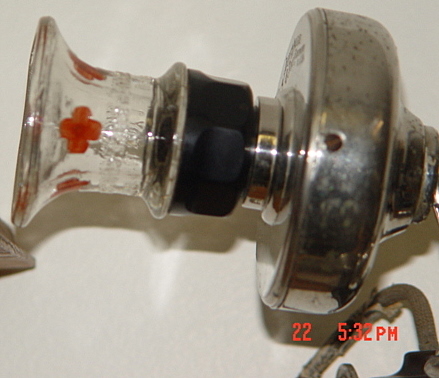 It does have some damage on it, but that doesn't detract from it at all. 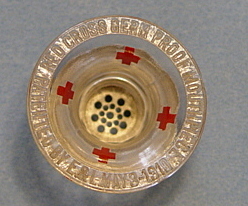 The sign is single sided porcelain and measures 26 1/2 x 14 3/4" in the frame. The frame has been on the sign for a long time. 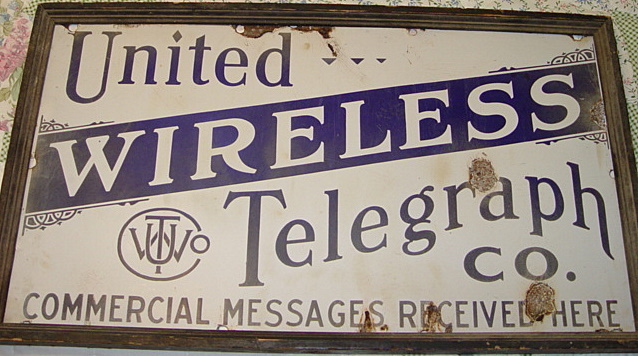 I did some research on United Wireless and found out that it was in business from 1906-1912 and was one of the largest wireless Telegraph Co's in the U.S. 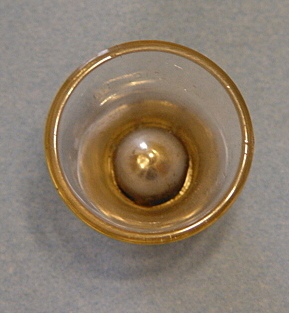 It went bankrupt though in 1912, because of some shady dealings with it's stock. 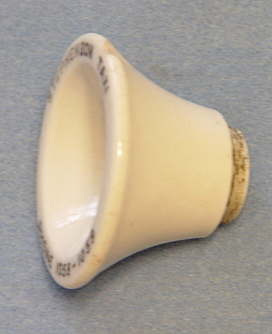 Here is an early drinking cup dispenser with a celluloid tag attached to the front of the dispenser. 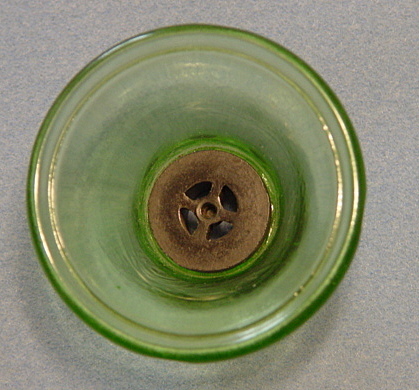 It also has the original key, which in most cases is missing. 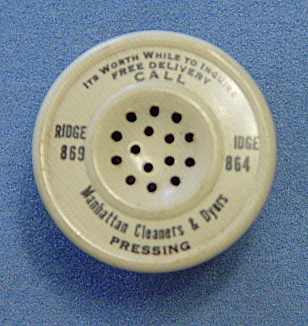 These dispensers were usually found on telephone company vehicles or at work centers. 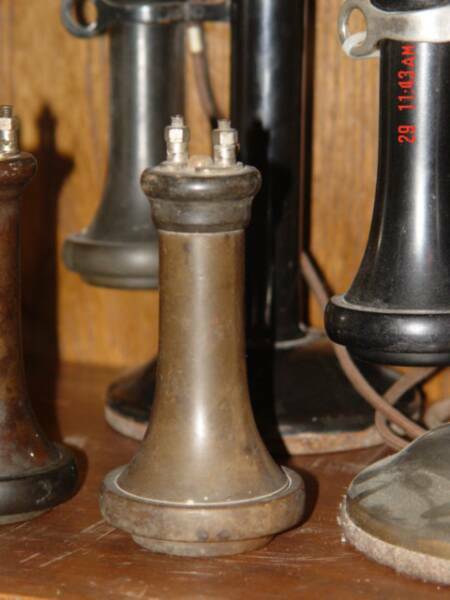 Here are 2 neat and old items that were used to hide candlestick phones, that were considered ugly at one time.